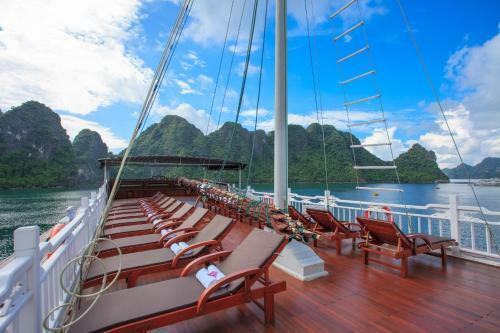 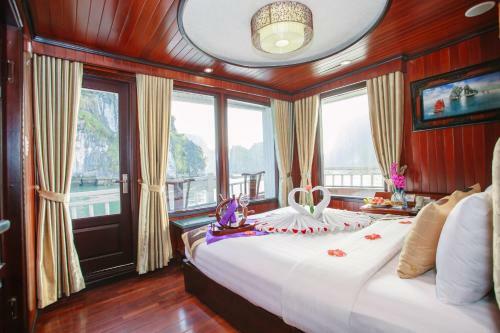 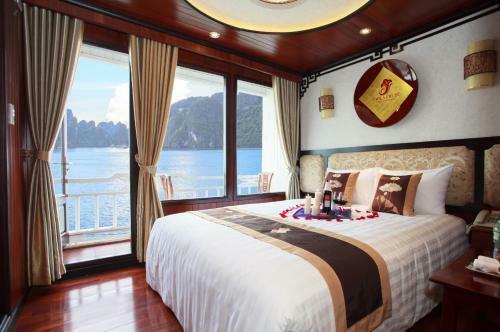 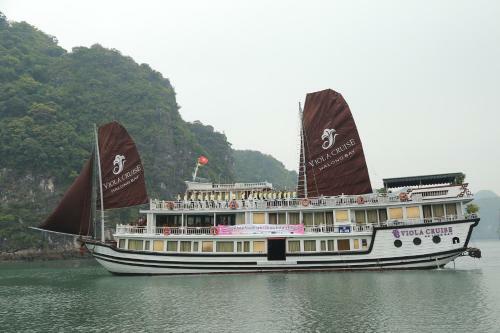 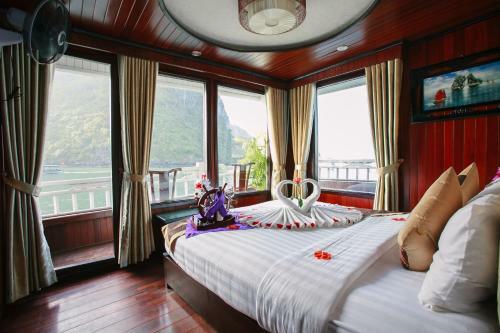 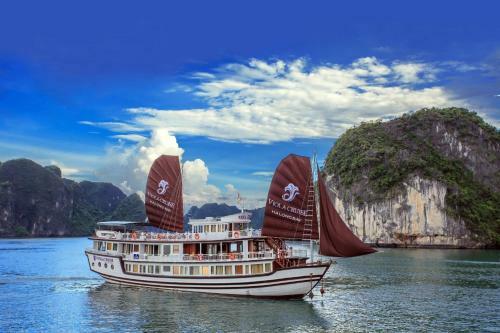 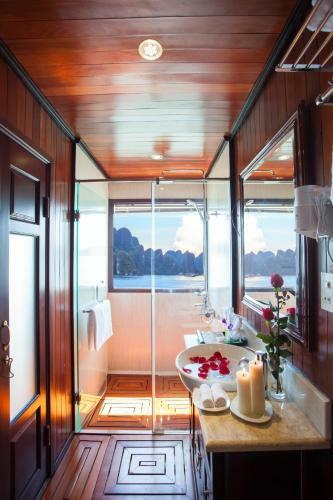 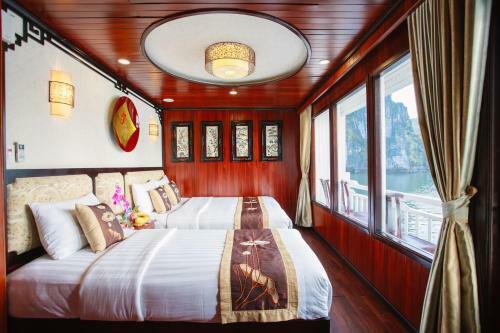 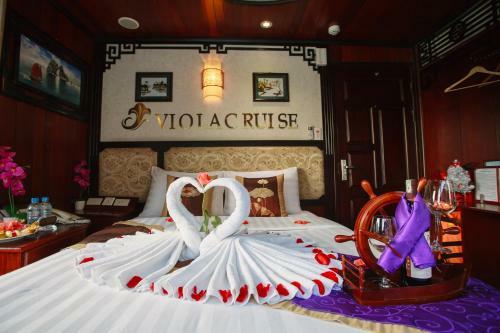 Sailing through the iconic Ha Long Bay, Viola Cruise features elegant and comfortable accommodation with free WiFi access in its public areas. 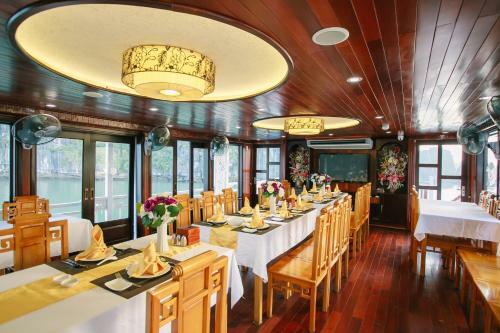 Offering an English-speaking guide, it has a restaurant and provides free kayaking activities. 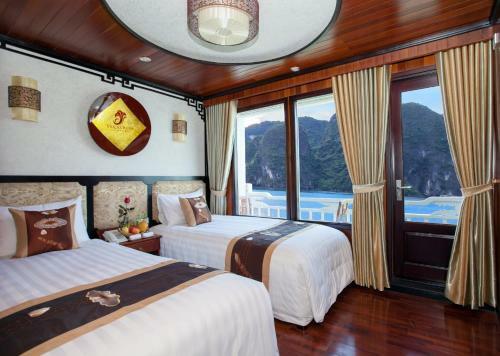 Enjoying views of the sea, air-conditioned rooms come with hardwood flooring, a clothes rack, a wardrobe and seating area. 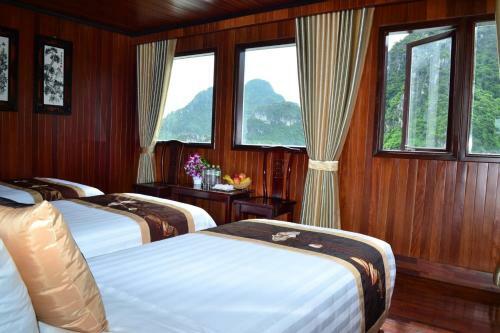 Rooms include an attached bathroom with shower facility, hairdryer, slippers and free toiletries. 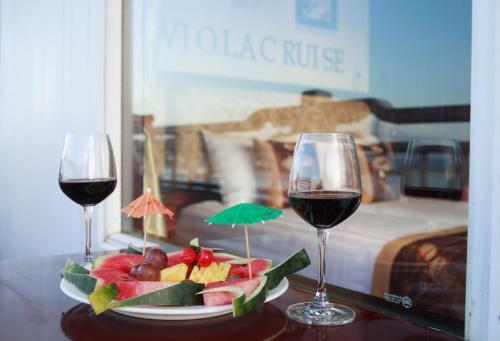 On board Viola Cruise, guests may relax at the common lounge area or enjoy sun tanning at the rooftop sun deck. 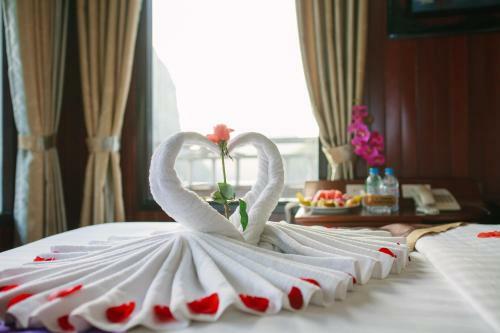 A games room with darts is available, while the friendly staff can assist with luggage storage, massage and concierge services. 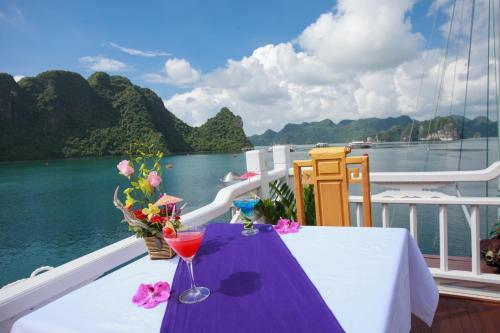 The restaurant serves a delectable spread of local dishes. 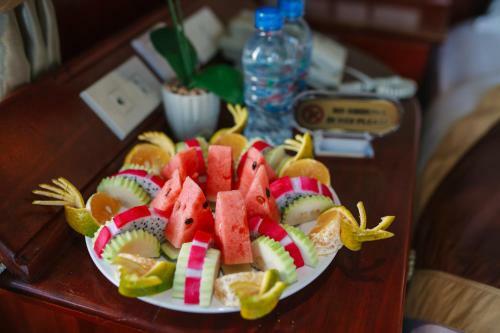 Special diet meals can also be prepared upon request. 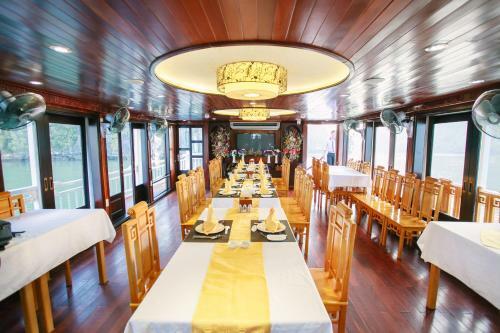 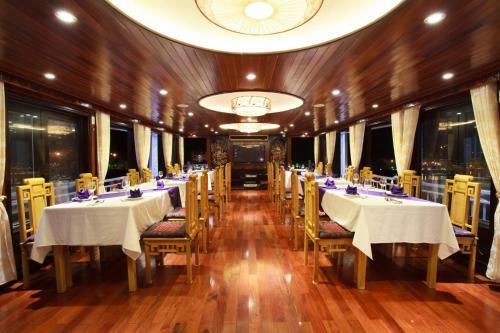 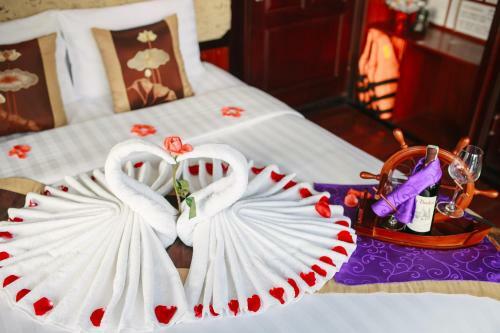 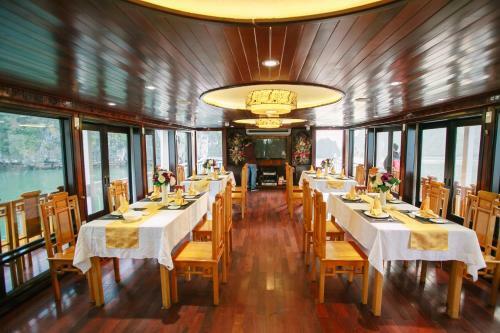 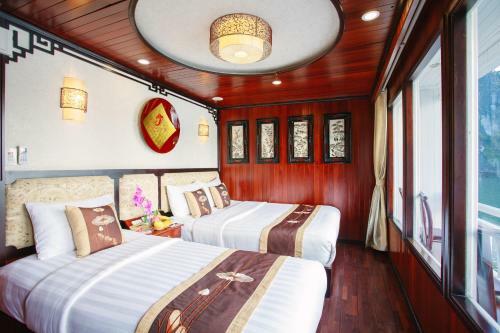 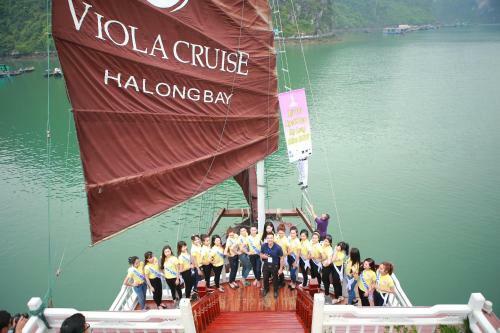 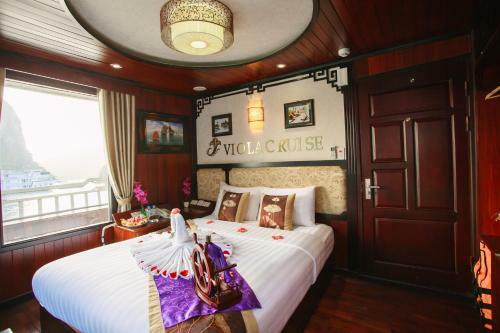 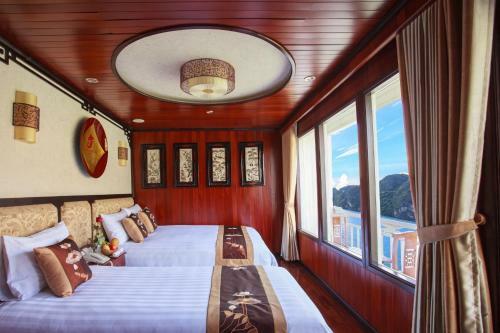 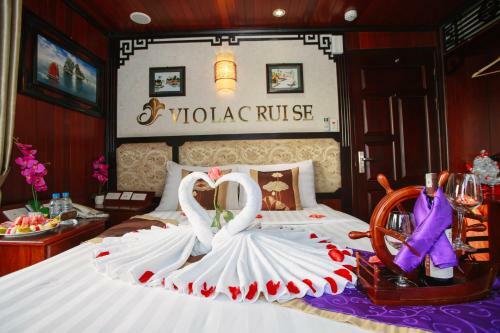 Viola Cruise is about 2.2 km from Ha Long Night Market. 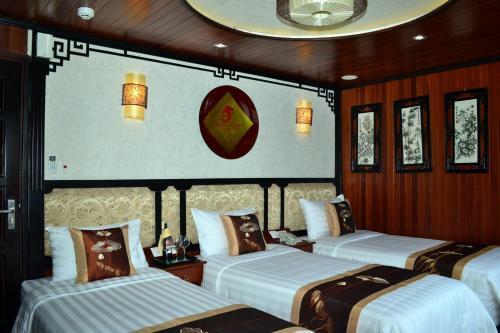 Cat Bi International Airport is approximately 35 km away.